Elite Detailing is here to serve those that want a "quality" detail job for their car, truck, suv, big rig, motorcycle, boat, or mobile home in the Western Kentucky area. We don't care about quantity, we only care about "quality." We would rather do one car a day than fifty, get the point. As long as we know the job was done elite style, we are satisfied with few and not many. We go to no expense to buy the best chemicals from California to Europe. From the weatherstripping being dressed properly to door jams being completely detailed, Elite spends the time. We don't care how long it takes. Our policy is no shorcuts, rushing, and we ask that our customers give us the time. In the event you are unsatisfied with our work, we want you to bring it back with no questions asked. Our work is very important to us as much as our business with our customers. While other shops offer detailing, we take it to the next level with our knowledge for detail and use of the best chemicals. We strive for excellence and quality the way certain automobiles were meant to be treated. We are familiar with the the high end market of cars like Mercedes, BMW, Ferrari, Rolls Royce, Bentley, and etc. Now, something we always hear. I can get it cheaper. Yes, you probably can find a cheaper price, but think about all the shortcuts being done. Things like using the cheapest chemicals on your car. Hiring dope addicts to work for barely nothing. Swirls marks, buffer paint burns, use of harsh chemicals on your leather or wheels, messing up your motor when spraying it down, and stealing stuff out of your car. These are just a couple of ways, price can be beat. Look in the phone book and pay attention to what shops are still around. Many shops close within two years. People if they can clean good, the can stay open for good!!! As the owner, I take pride in my work and believe in hard work pays off. Hard work is the very back bone to Elite Detailing. This is something I put against any of my competition. Our broad selection of full-service detailing packages offers a powerful range of detailing services that are catered to your vehicle's specific condition and individual needs. Special attention is paid to every area of your vehicle's interior and exterior, providing the most comprehensive detailing available. Our trained industry professionals have the skills and experience necessary to bring your vehicle to its best possible condition. We specialize in buffing cars! And yes we can do it without burning paint and swirls if you want! If you're particular about your vehicle's care and maintenance, don't settle for anything less than the best. 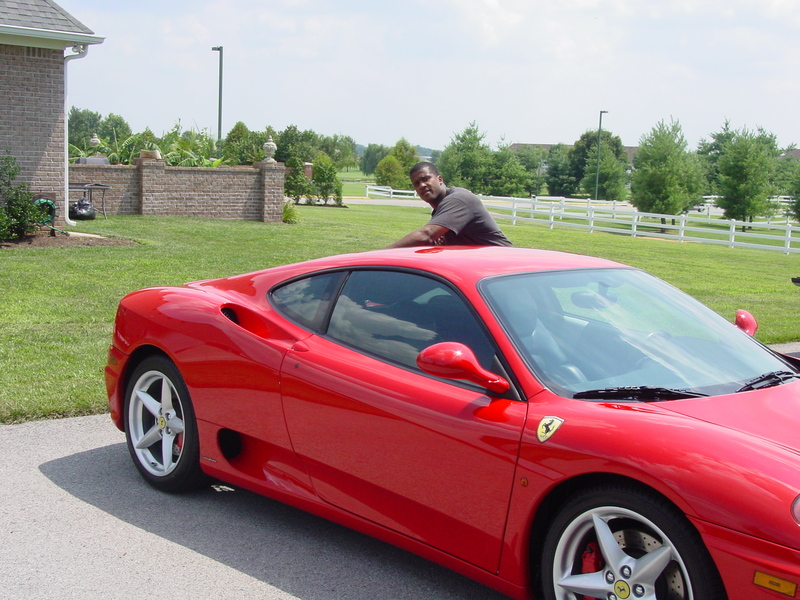 Elite Detailing was started because of the lack of quality automotive detailing in the Western Kentucky area. We love to make automobiles look better than new by spending the time and money on the best chemicals. With our diverse services, you can now put our passion for beautiful automobiles to work for you. Whether you're concerned about resale value, enjoy the pride of owning a well-conditioned vehicle, or are simply curious to see the full potential of your automobile, Elite Detailing is the only name you need to know. Contact us today for more information on the many ways our full-service automotive detailing can exceed your expectations. We do special calls for 24/7 service also.